The majestic white horse of Uffington, astride his Seraphinite hill top, beneath a shimmering blue moon. 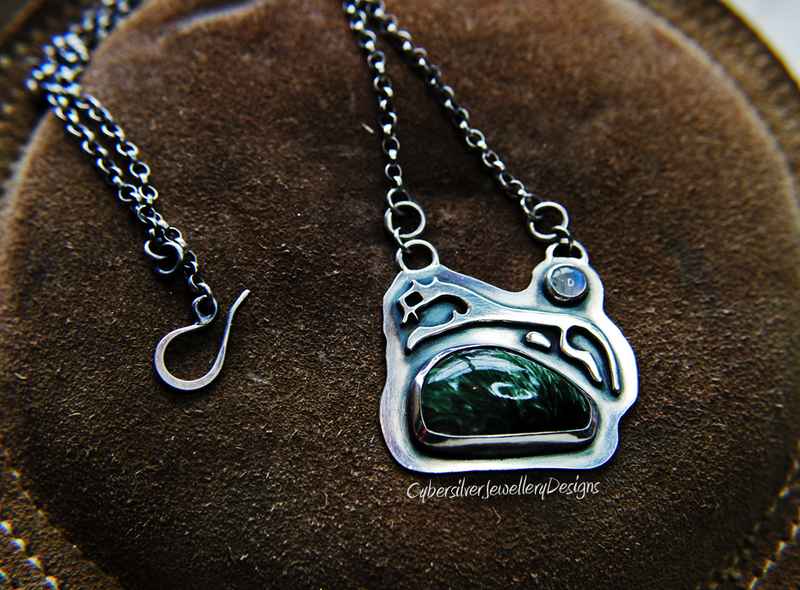 This pendant is constructed from thick sterling silver and is entirely handmade by me. The silver has been oxidised, highlighted and coated with a microcrystalline wax to help protect the oxidised surface. The substantial sterling silver chain has also been oxidised, highlighted and waxed, and finished with a handmade hook. Hallmarked by Goldsmiths of London - your guarantee of quality. Seraphinite is named after the biblical seraphs or seraphim angels because of the 'feathery appearance' present in the stone. 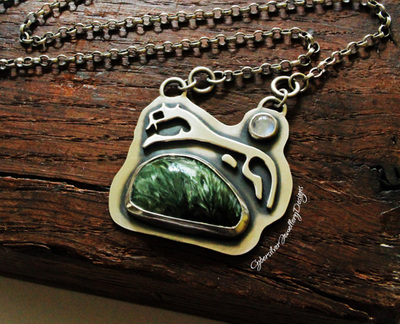 Seraphinite is a spiritual and healing stone. It is believed to increase psychic awareness and intuition and to encourage 'angelic' out-of-body journeys during meditation. It is also believed to aid cellular regeneration. 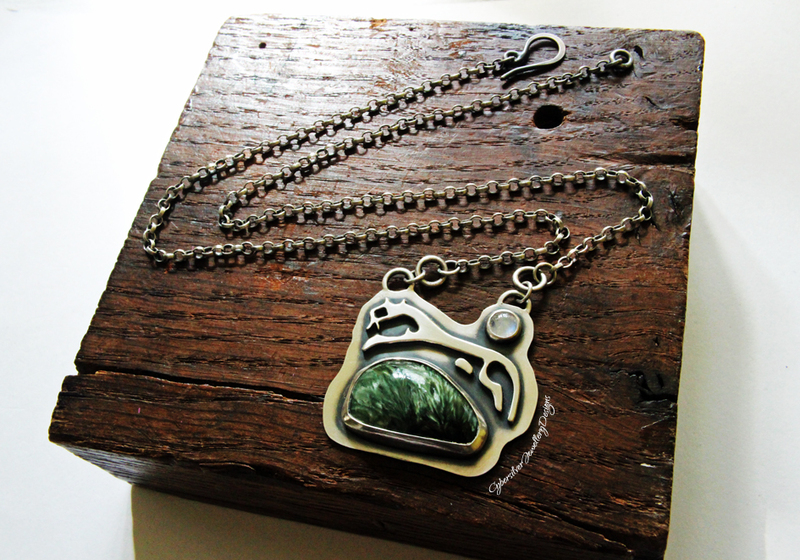 Seraphinite also opens the Heart Chakra enabling you to accept and to give unconditional love.